Long-range Wi-Fi solutions like our Ubiquiti line advertise MIMO technology. If you search for MIMO you get all sorts of confusing gobbledygook. So, your Solid Signal Blog team is here to clear it all up! MIMO stands for “multiple in, multiple out” and it describes a system where several small antennas are used instead of one large one. These antennas work together to create a signal that’s both stronger and more efficient than a single large antenna. 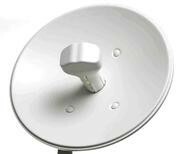 Using multiple antennas creates what’s called an “array” which acts like one very large antenna. There are a lot of deep physics things going on, but the most important thing you need to know is that using multiple antennas does more than double the signal. It can actually make it much powerful than that. It also provides “diversity” which means that if one part of the antenna is blocked by an obstruction, the other parts can make up for it. That means the antenna will work under more conditions with less breakup. MIMO technology is actually part of most wireless routers, but it really works wonders on long-range transmissions. The incoming signals can be averaged and compared to pull in a clear, sharp signal from further away. That’s why it’s so important that MIMO technology be used in long-range Wi-Fi products. By the way, MIMO isn’t just for data… cell towers use it too as they try to grab that tiny little digital signal from your phone while it’s in a moving car. Pretty neat! End of the road for SD cards? With 5G coming, will you even still need Wi-Fi? How fast should your internet be for DIRECTV On Demand? Let’s be honest. Touchscreen desktop monitors are dead.